Afie Jurvanen (born April 28, 1981), known by his stage name Bahamas, is a Canadian musician born in Toronto, and raised in Barrie, Ontario. He is of Finnish ancestry. Jurvanen taught himself guitar. He worked with a variety of musicians that includes The Lumineers, Feist, Howie Beck, Jason Collett, Jack Johnson, The Weather Station, and Zeus. Downtown Music Publishing represents Bahamas songs. Jurvanen recorded his debut album, Pink Strat, in a cabin in rural Ontario in 2008. He released the album under the name Bahamas in 2009 and was subsequently nominated for a 2010 Juno Award for Roots & Traditional Album of the Year – Solo. Jurvanen released his second album, Barchords on February 7, 2012. The album received nomination at the 2013 Juno Awards for the Adult Alternative Album of the Year. Jurvanen received a nomination for Songwriter of the Year for the tracks "Be My Witness", "Caught Me Thinking", and "Lost in the Light". Jurvanen released his third album, Bahamas Is Afie on August 19, 2014. The album received first place on Q's Top 20 Albums of 2014. Bahamas Is Afie received a nomination for Adult Alternative Album of the Year At the Juno Awards of 2015, and Jurvanen received nomination for Songwriter of the Year for "All the Time", "Bitter Memories" and "Stronger Than That". He won the awards in both categories. Jurvanen tours with drummer Jason Tait and backing vocalist Felicity Williams. Bahamas opened for Jack Johnson, Robert Plant, Wilco, The Lumineers and City and Colour. Jurvanen released his fourth album, Earthtones on January 19, 2018. Bahamas began their Canadian tour for Earthtones on January 18, 2018, the Earthtones World Tour and recruited Zach Gill to open the shows. Jurvanen lived in The Junction neighborhood of Toronto with his wife and two children, until December 2018 when they relocated to Nova Scotia. ^ Eisner, Ken (March 25, 2010). "Afie Jurvanen reinvents himself as Bahamas". The Georgia Straight. Retrieved 2010-04-02. ^ "Bahamas - Brushfire Records". brushfirerecords.com. Retrieved March 22, 2019. ^ "Music artist Bahamas grows into his adopted name". Retrieved March 22, 2019. ^ Semansky, Matt (February 25, 2010). "Bahamas's island life". The Coast. Retrieved 2010-04-02. ^ a b "Artist Summary: Bahamas". JunoAwards.ca. Canadian Academy of Recording Arts and Sciences. 2013. Retrieved July 8, 2013. ^ "Exclaim! 's 20 Most Anticipated Canadian Albums of 2012". Exclaim!. Retrieved September 19, 2014. ^ "Hear Bahamas Rip Soulful Harmonies on Falsetto-Filled 'All the Time'". Spin. May 29, 2014. Retrieved September 19, 2014. ^ "#1 Bahamas - Q's Top 20 Albums of 2014". Q. January 1, 2015. Retrieved March 8, 2015. ^ "2015 Juno Award Nominees: The complete list". CTV, January 27, 2015. ^ Ben Rayner, "Bahamas' latest album is all about Afie Jurvanen". Toronto Star, August 17, 2014. ^ "Bahamas wants listeners to lean in to hear 'Bahamas Is Afie' album". Los Angeles Times, August 21, 2014. ^ "Bahamas Announce New Album 'Earthtones,' Share Charming New Track 'No Wrong': Exclusive". Billboard, October 26, 2017. ^ Bennett, Jud Haynes and Mark. "BAHAMAS • new album EARTHTONES out now • on tour". 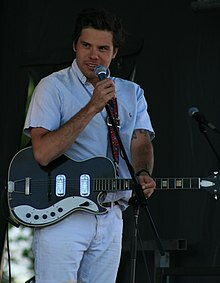 bahamasmusic.net. Retrieved February 8, 2018. ^ "Bahamas Chart History: Canada Rock - January 31, 2018". Billboard. Retrieved January 31, 2018. ^ "Bahamas Chart History: Adult Alternative Songs - January 31, 2018". Billboard. Retrieved January 31, 2018. ^ "Bahamas Chart History: Hot Rock Songs - January 31, 2018". Billboard. Retrieved January 31, 2018. ^ "BDSRadio Charts". charts.bdsradio.com. Retrieved February 21, 2018. ^ Watt, Laurie (December 28, 2014). "Bahamas ready for homecoming performance in Barrie". Simcoe.com. Retrieved November 14, 2018. This page was last edited on 20 April 2019, at 20:29 (UTC).